Join us this week as we welcome R&B/Soul music artist and United States Navy veteran, Bobby Brooks Wilson. 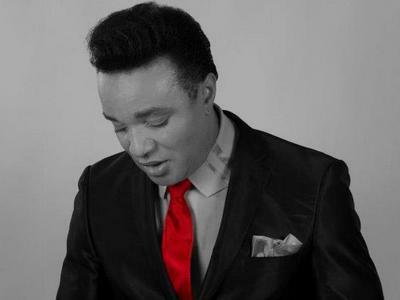 Hailing originally from Columbia, S.C., Bobby Brooks Wilson, the son of Rock and Roll Hall of Fame legend Jackie Wilson, is a dynamic entertainer that energizes every moment on stage. His creativity and high-energy performance is magnificent as he glides easily through his five-octave range. He maintains an active performance schedule to keep the Jackie Wilson legacy alive worldwide. A virtuous musician and singer Bobby plays both guitar and piano. He has opened or performed with greats like Bruno Mars, The Temptations, The Four Tops, The Contours, Martha Reeve, Dion Warwick, Paul Revere, Bill Medley, and many more. We will talk to Bobby about his upcoming schedule, get a behind the scenes look at his music, feature songs off his new album from Plateau Music "It's About Time", and ask him to share his message for the troops. Please be sure to visit Bobby Brooks Wilson at http://www.bobbybrookswilson.com/ and spread the word. If you would like to participate in the live chat during the show, you must sign up on the show site first and then log in during the show. More great music for a really great cause! And as always we will give shout outs to our deployed military listeners. This is sure to be a terrific show so be sure to join us, Sunday January 13th 2013 at 4:00 PM EST! Our message to the troops....WE do what we do, because YOU do what you do.